Most diseases and irregularities in our bodies are easy to detect once they are in an advanced stage or when they pose problems in our day to day lives. Vision problems are the same: it can hard to spot issues early on, but a medical check-up can help you uncover such problems. This can prevent your condition from worsening further, as treatment can be administered earlier. Our eyes are very sensitive and fragile. Despite the amount of protection that our body provides in order to keep them functional and disease-free, they are not enough to keep germs and other microorganisms at bay all the time. Furthermore, conditions like dry eyes can effectively make this natural protection barrier even less effective. It is advised to get dry eye treatment if your eyes feel irritated or fatigued due to a lack of tear production. Other than DES, there are many other eye diseases that can make you feel uncomfortable and even damage your eyes permanently if not treated in time. You will know when it is time to visit the optician once you start to feel pain or irritation in your eyes, or if they become red in color. You might not know this, but your eyesight changes constantly. This is exactly the reason why some people who have perfect eyesight one day will suddenly start to see blurry images during the next week. 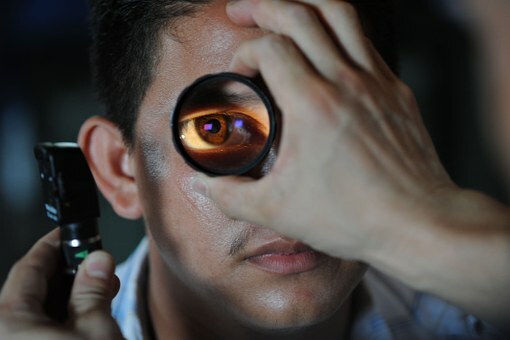 Eyesight generally gets worse the older you are, so even if you are currently using glasses, you should visit your optician on a yearly basis to get them adjusted. Otherwise, your glasses may prove to be ineffective at doing their job. In the end, remember that each one of us is only given a single set of eyes. If you don’t take care of them, you will be the one to suffer the most.